Montessori Baby-Ed: 12 Musical Learning Activities For Your Baby "Month by Month"
TRY THESE 12 MUSICALLY MONTESSORI ACTIVITIES WITH YOUR BABY EACH MONTH! 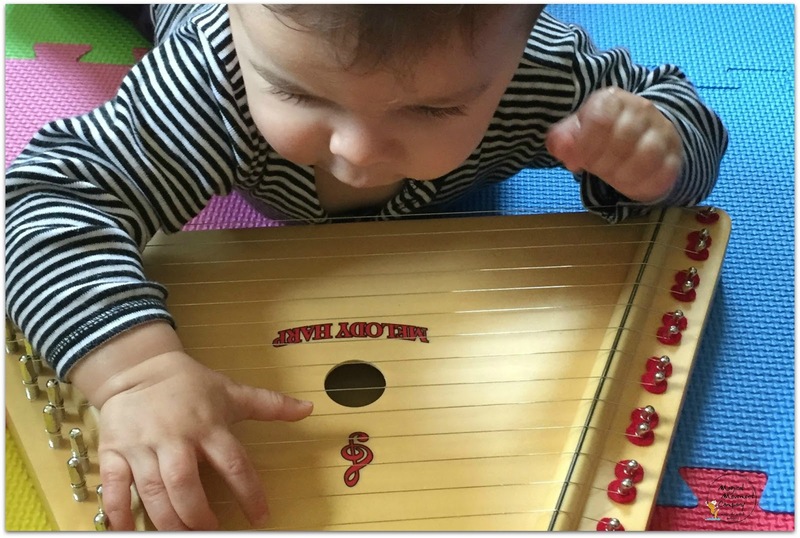 Having musical fun with your Montessori baby brings lots more than family togetherness! 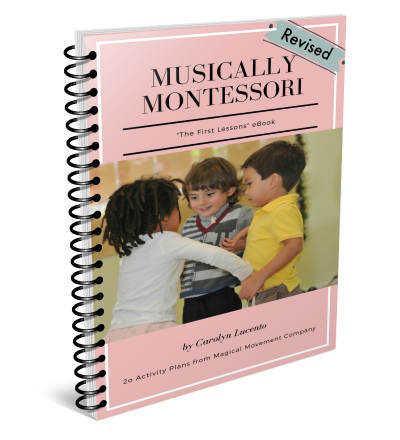 Dr. Maria Montessori developed an amazing and historical educational method for working with children from birth all the way to high school age. 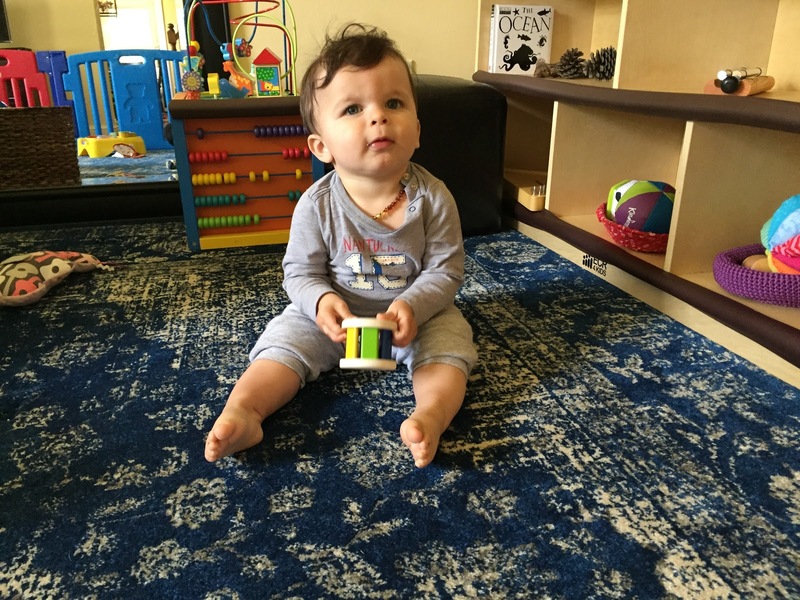 After the birth of my third grandchild, I discovered the most endearing "curriculum" for baby learning that I've ever studied...from Montessori, of course! I found myself asking, "Why didn't I know about the 'Montessori Nido Environment'?" What took me so long to discover the many activities for creating a Montessori environment for the child from birth to the beginning of toddlerhood? I guess I've been a little preoccupied with my decades of working with the Montessori Preschooler! 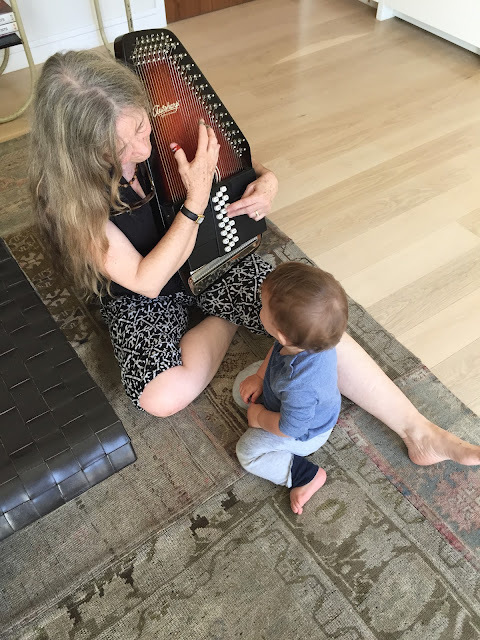 My grandson and I playing and singing "The Little Rooster Song"
My Montessori-raised daughter asked me to send her a basket each month of activities she could do with her little one to nurture their family bonding and her baby's cognitive development. That is when I started developing the Montessori Baby-Ed "Nido Baskets" for each month of Baby's first year. Eventually, I saw that these monthly Activities would be difficult for me to curate and actually sell to families, which was the first thing my entrepreneurial daughter suggested! I also discovered that the families I was sending these "Nido Baskets" to, (my daughter and also an old friend of hers, Amanda) were needing instruction about how to set them up and engage their babies, as well. 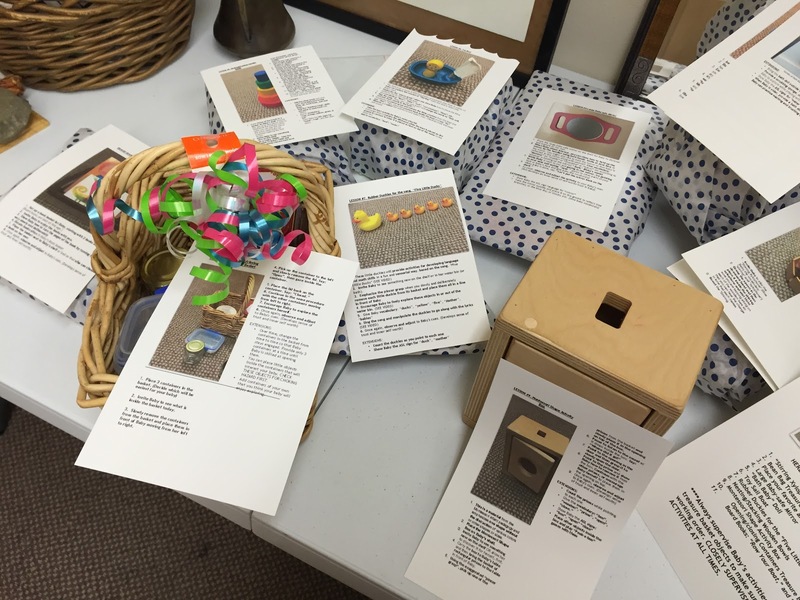 So, I developed Montessori-style Lesson Plans to go along with the monthly "Nido Basket." Next, the feedback I got was: "Can you create an Instructional Video to go with each month's basket?" I realized that I wasn't dealing with Montessori teachers here...I was offering the Montessori Baby curriculum to parents, busy parents! 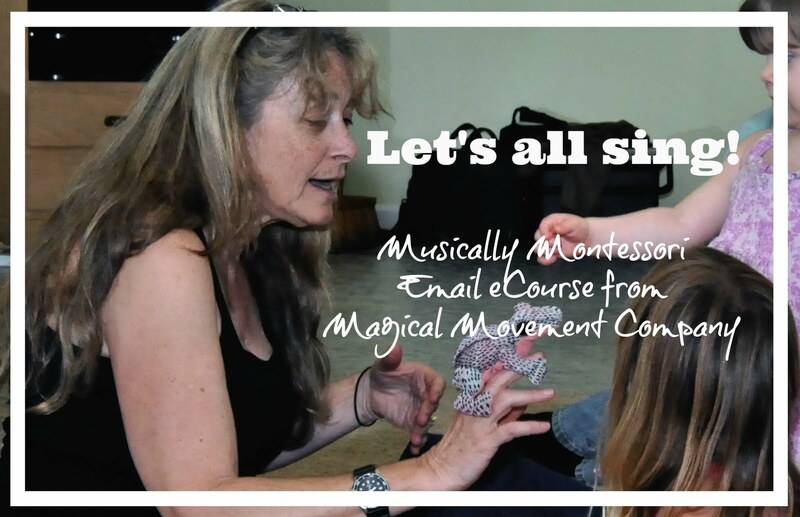 That's how my Montessori Baby-Ed eCourses evolved! And, these "Month by Month eCourses" are finally being offered to parents and caregivers. 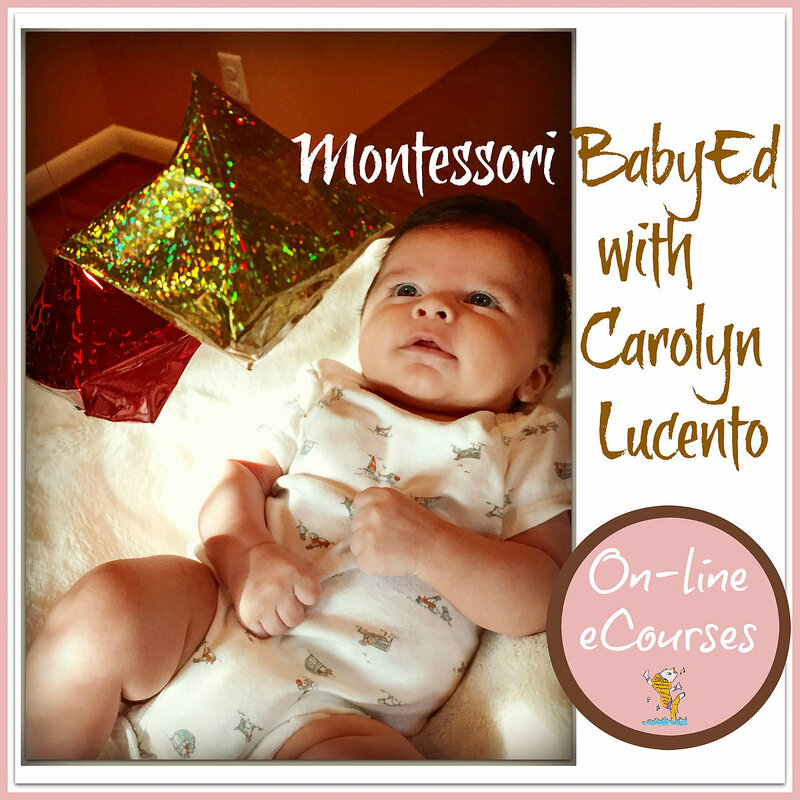 In my eCourses, I have created Instructional videos and some useful downloads for each month of the Montessori Baby's first year of life. Click here to LEARN MORE about my eCourses. 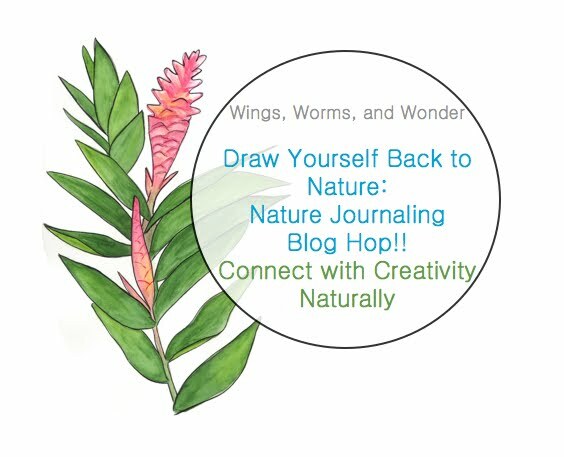 I AM CELEBRATING my new eCourse! Don't miss my Etsy Gift Card Giveaway. See how to enter at the end of this article. I have been so fortunate to have Amanda taking my first version of the Montessori Baby-Ed month by month Lessons. 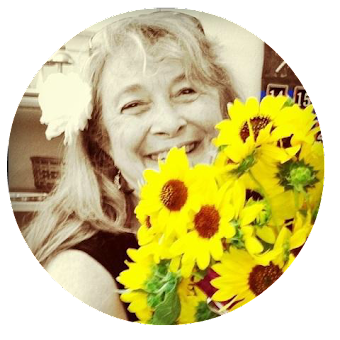 She happens to be a wonderful photographer and she beautifully documented her family enjoying the monthly activities in photos and videos! 1. Play an instrument for your baby so s/he can hear and feel live music. In MONTH ONE of my Montessori Baby-Ed eCourse, I demonstrate the delightful and easy-to-play Mbira, "Kalimba" or "thumb piano." These are about the size of a cell phone, are played with the thumbs (much like texting) and have a beautiful sound. You can easily carry it around like a phone, yet make music instead of texting! And, if you happen to play the guitar, piano, flute...or any musical instrument...your baby will greatly enjoy (and benefit cognitively) when you play & sing for her! 2. Hang the Montessori-style Visual Mobile, "The Dancers" and play some ballet music while Baby watches the sparkly Mobile catch the light as it delicately moves in the air. There are actually four different "Montessori Visual Mobiles" and they are all very beautiful. They seem to "dance" in the air no matter where you hang them. A beautiful way to engage the youngest of babies! 3. Invest in a sturdy baby-sized"Chime Ball" (or jingle ball) to play rolling games with your baby. There are so many ways to play little ball rolling games with your baby at any age. A soft, cloth ball with a chime or jingle bell inside, just adds to the musical quality of singing a simple ball rolling song while enhancing your baby's large motor development, too. 4. Offer your baby a Montessori style "Tactile Mobile" (wooden bells) that makes a sweet sound when Baby kicks or grasps it. In the 3rd and 4th months, the Montessori baby is given "Tactile Mobiles" to explore by kicking or grasping. Choose one that makes a nice sound when pulled or kicked like this one. HERE is an amazing little video of one of my eCourse family's baby, Emilio. You can see just how long he stays engaged making his own music! 5. Play a high quality hand crank "Music Box" for Baby to have a sweet and intimate experience with live music. Young children, especially babies, have sensitive hearing and this is why it is important to offer your baby music (and experiences with sound) that is real as compared to electronic. The simple music that is produced by a nice music box is more appropriate for a baby to hear because it's real and not synthesized. 6. Set up your Montessori Style shelf with baskets and include a basket with 2 or 3 small rolling toys that make a sound that will entice Baby to creep after when the toys are rolled across the floor. I like the rolling ball toys from Plan Toy Co.
7. 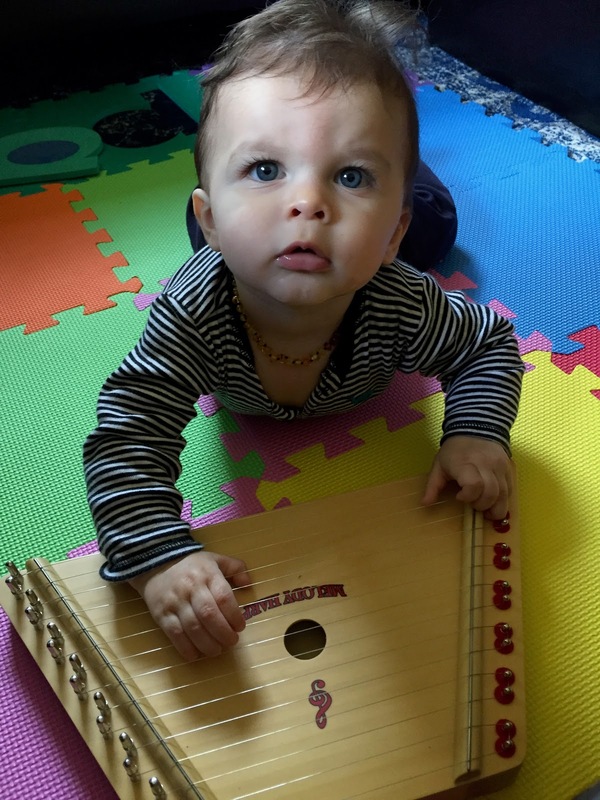 Invest in 2 or 3 baby-friendly "instruments" that are made of wood and that sound nice. I like the ones from Plan Toys and also Hape Toy Co.
8. Display a high contrast photo of a musical instrument at Baby's eye level. 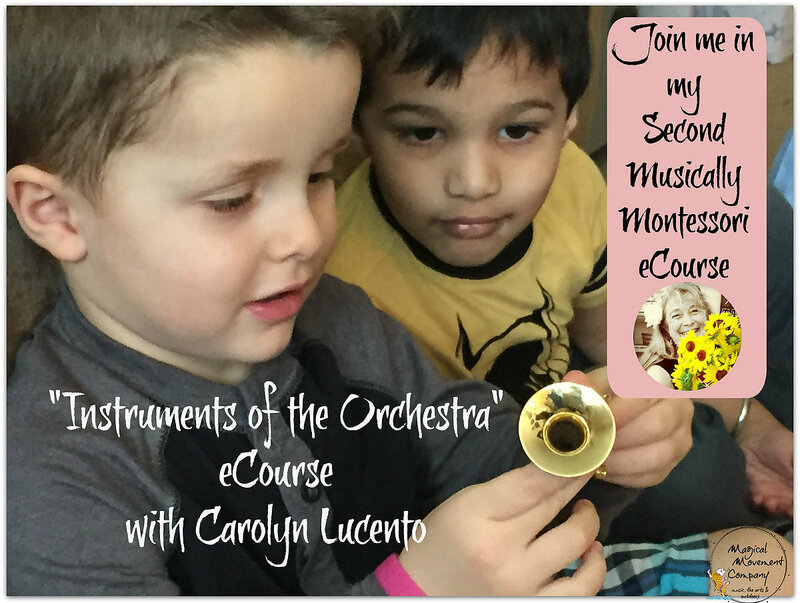 In MONTH EIGHT, I suggest the Violin and I include a downloadable high contrast photo in my Montessori Baby-Ed eCourse along with an Mp3 music download of delightful & playful violin music to play for your baby's enjoyment. My daughter hung her pictures each month by her baby's diaper changing table. 9. Offer your baby some baby-friendly Montessori style "Sound Boxes" to explore. I found these really fun small wooden sound blocks that had things inside them that made sounds when shaken. Turns out they can be made into a matching activity, almost like the Montessori Sound Cylinders in the Preschool classroom. 10. Play a meditation bell/chime (or a recording) for Baby to hear a sustained sound and develop auditory & listening skills. I like this sweet and clear sounding Woodstock brand "Zynergy Chime." Amanda's little ones learned to play it quickly. Her baby played by the time he was 10 months old! 11. Provide nice sounding pitched percussion instruments to challenge Baby's small motor development. The ones that have been successful with the Montessori Baby-Ed families I've worked with are: "Stirring Xylophone" and "Melody Harp." 12. MAKE MUSIC! Provide 2 or 3 high quality rhythm instruments, such as a small tambourine, small sand blocks, small maracas/chiquitas, or small stick bells for playing and singing with your baby. Be sure to keep that steady beat while you sing, so that Baby gets used to hearing it! I like the high quality child-size Rhythm Instruments from West Music Co. 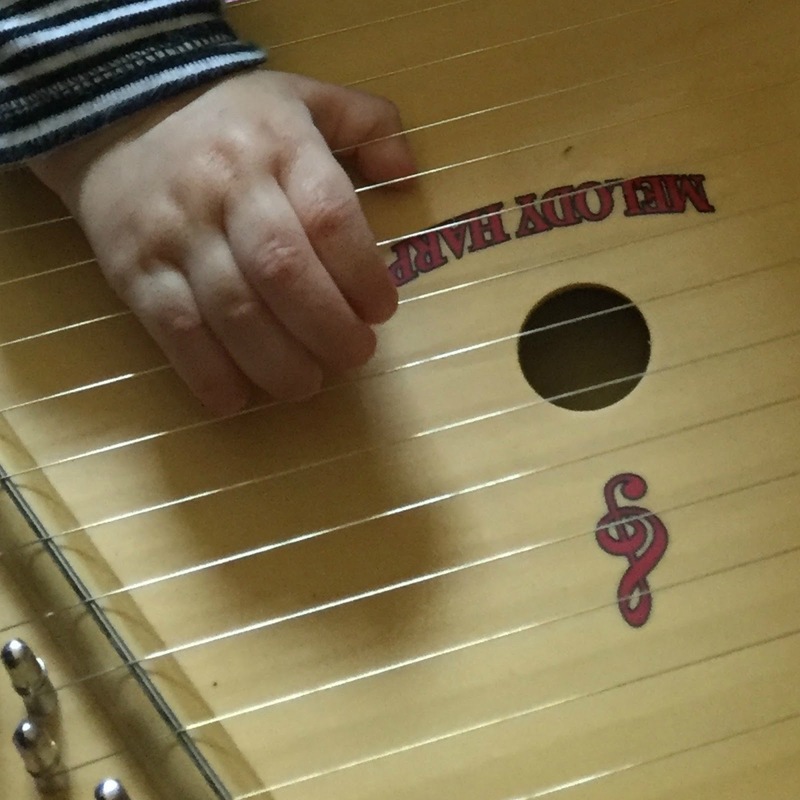 Yes...Baby can pluck the stings of this sweet-sounding Melody Harp! 13. 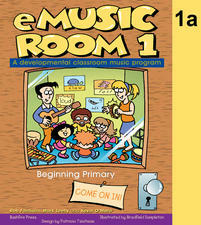 Marc Brown's Favorite Fingerplay Songs & Rhythms. This is a fun board book (eBook, too) that has just a few simple but lovely rhythms/songs that have hand motions you can do with your baby. Since it comes in board book form, you can read it to your baby and toddler! 14. 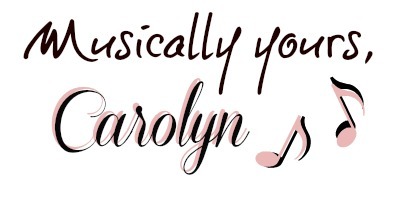 "You Are My Sunshine" music album by Elizabeth Mitchell. One of my all-time favorites because I love the song choices and the sweet, sweet way that Elizabeth and her family band performs them! Great listening and also wonderful songs to learn to sing together with your family. 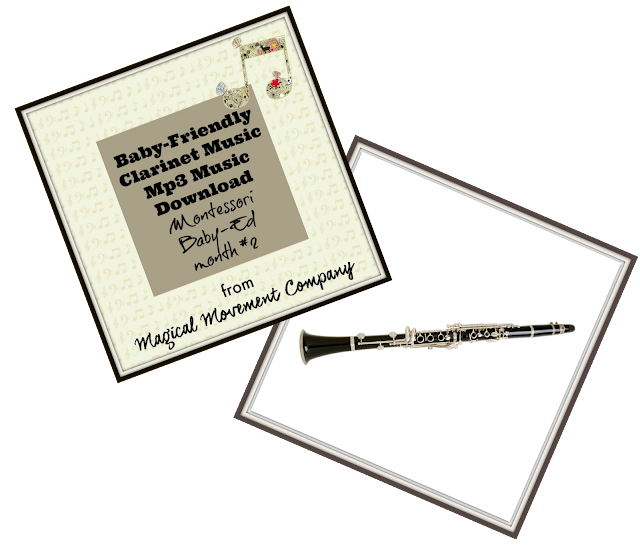 ~ "Month by Month" Mp3 Music and an Instrument Photo ~ Each month, you can display a realistic and high contrast photo of a musical instrument at your baby's eye level. 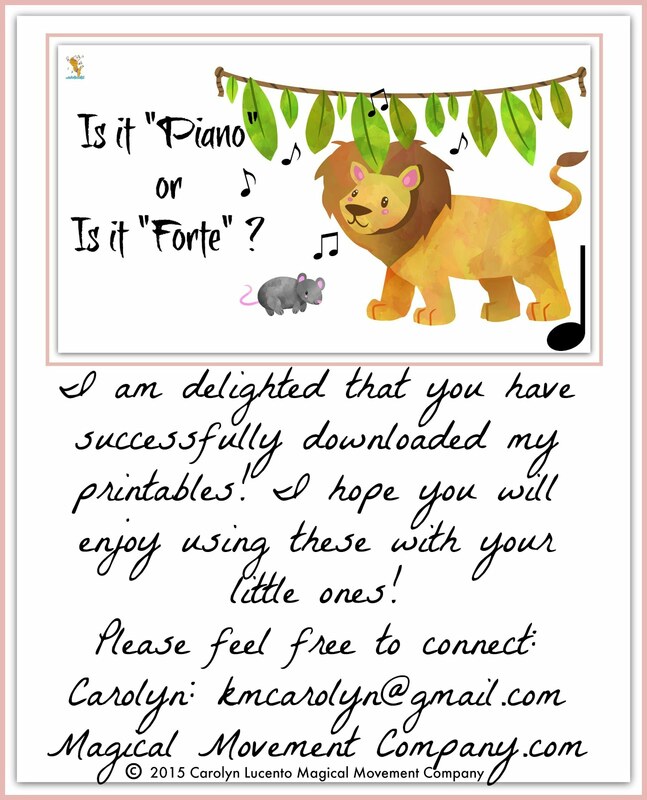 Then you can turn on some baby-friendly, playful music that features that instrument! I know this seems to be very subtle, but we all know that the young child has that "absorbent mind!" (a phrase coined by Dr. Montessori in the early 1900's) And, it's a lovely way to listen to music with your family. 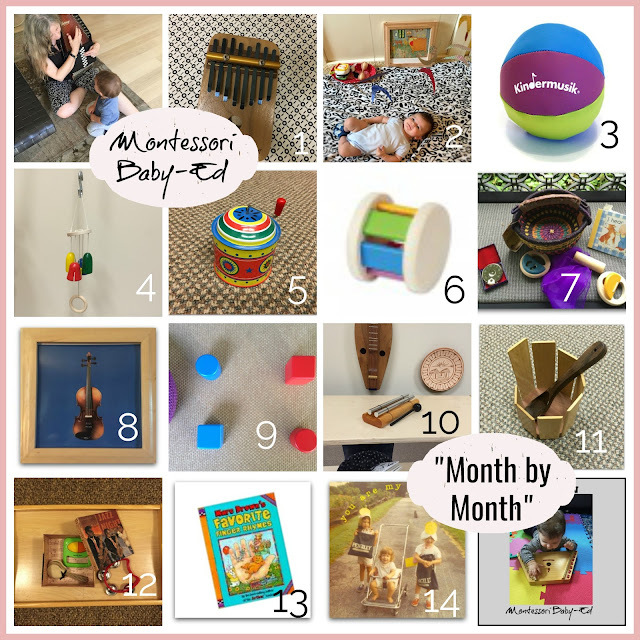 **** You can see my recommendations for collecting items for creating your Montessori Baby Environment in my Sample Free Lessons from my Montessori Baby-Ed "Month by Month" eCourses. CLICK HERE to check them out! Thank you for visiting my Blog today. I hope you found some fun activities to do with your little ones!